Quezon City’s Central Business District (CBD) has always held a lot of promise, being strategically at the center of urban growth. And Ayala Land further realizes its potential by bringing new energy to it through the development of Vertis North—the City Center that nurtures and inspires enterprise and activity. High Park Tower One and Two. Experience the height of city living in High Park by Alveo Land, the twin tower of modern living that’s well-surrounded with lush greeneries, poised to rise in Quezon City’s newest City Center, Vertis North. Vertis North, the 30-hectare mixed-use and sustainable estate, features a broad range of facilities, including a hotel establishment, which makes it the ideal address for a redefined modern urban living. As a city center, Vertis North will be the home of offices, retail spaces and residential developments such as High Park by Alveo Land. High Park is a signature development of Alveo Land, a subsidiary of Ayala Land, with a singular vision of providing innovative homes for living well. 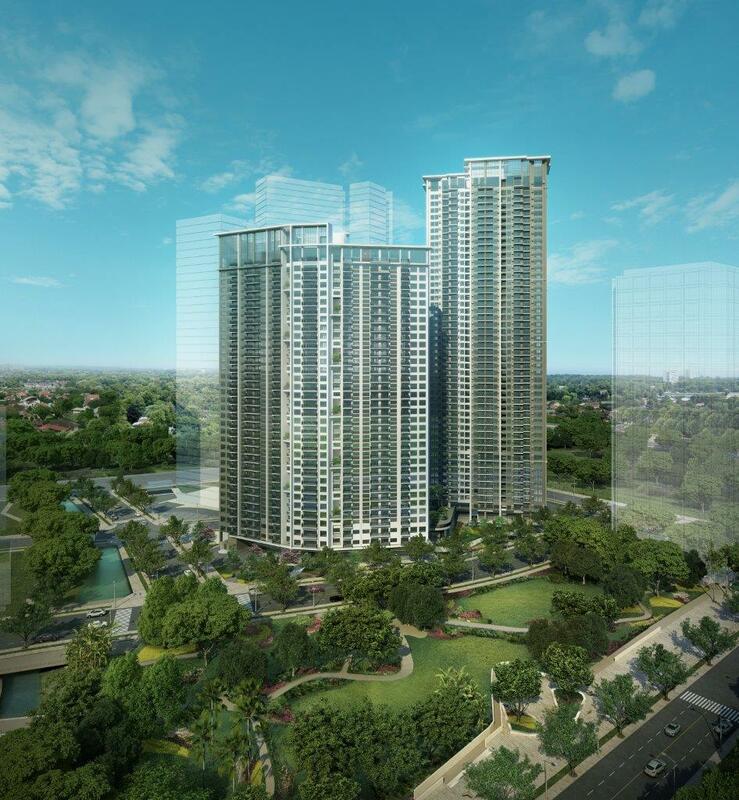 The two-tower high-rise condominium, poised to rise in Vertis North, promises to deliver an exclusive and distinctive living experience in the prime Quezon City lifestyle hub, by offering the combination of a natural and urban environment in a vertical living experience. Retail Eye Level Dusk. Discover what it’s like to really be at the center of it all, living in High Park at Vertis North. Enjoy being near a wide range of dining options, business establishments, and recreational spots. Life is made easier and more enriching for the residents of High Park. An enriching life at the core of the city is guaranteed at High Park. The twin tower with 40 floors in its first tower and 50 floors in its subsequent tower, and over 800 units in total, allow residents to enjoy the perks of city living, with all the nearby urban comforts provided in Vertis North, as well as the refreshing view of the estate’s iconic Vertis Park, the two-hectare land of green space. 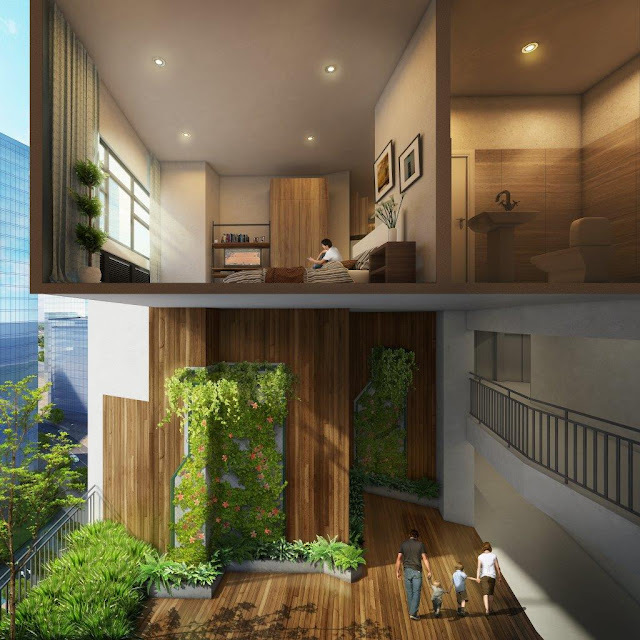 High Park invites the grace of greens from the ground all the way up with Tower One’s stimulating Sky Gardens on every three floors and Tower Two’s lush Sky Park cradled at the roof deck. On top of that, the development is well-complemented by its impressive amenities and refreshing al fresco dining scenes. The intertwining of green spaces into the building design makes High Park the most iconic residential condominium of Alveo to date, and a vital element to the dynamic hub, Vertis North. Sky Garden Views. Residents of High Park by Alveo Land get to experience the best of both worlds with the provision of the city life’s perks and the refreshing ambiance of nature, made possible by its carefully-thought-out architectural design. 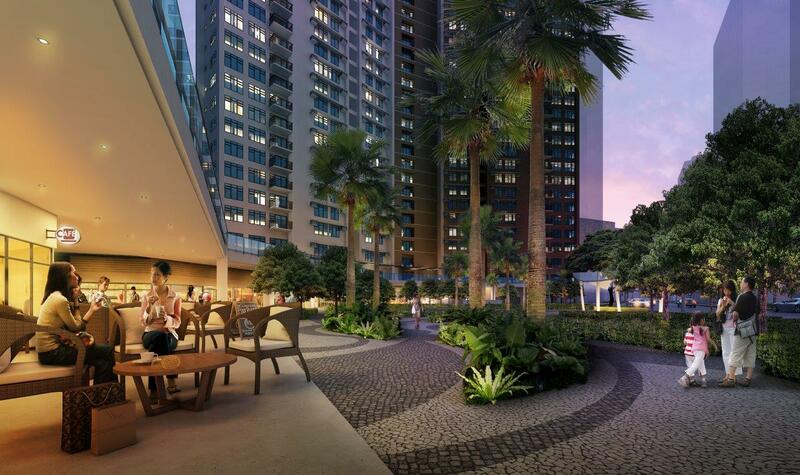 Vertis North is set to take the heart of Quezon City on a vertical rise with contemporary residential developments such as High Park, as well as other favorable facilities within it. This includes distinct work spaces with an integrated parking area, a premium retail block offering over 200 top-tier retail brands and dining options, the single tower but largest Seda Hotel, and a sprawling patch of green in the form of the Vertis Park that can host many recreational activities. Reimagine the opportunities presented by the modern life in the urban city at Vertis North, and truly discover the height of city living in the midst of it all in High Park.